One Million People. Ten Million Lives. What if you could be part of a Project, a movement, to help one million people positively impact ten million lives? What if you could exponentially help many more and turn $1 million into $10 million? 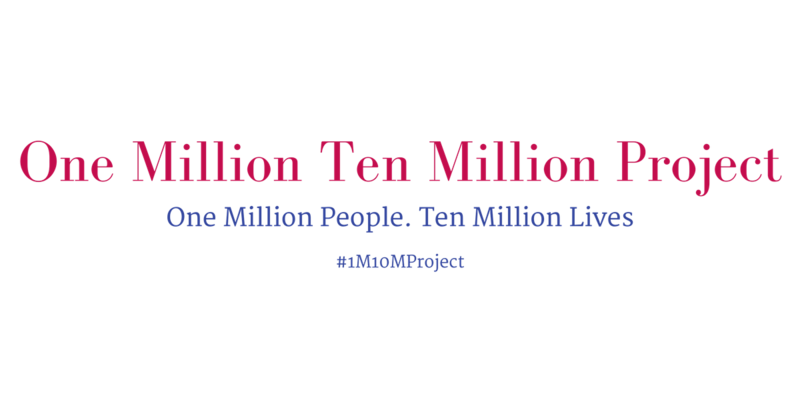 Welcome to the One Million Ten Million Project, a movement built on community, collaboration, compassion, connection and contribution. We are honoured to recognize the amazing men & women who are participating, and the organizations who are being recognized in the One Million Ten Million Project. Click on the images to discover the incredible organizations being supported!